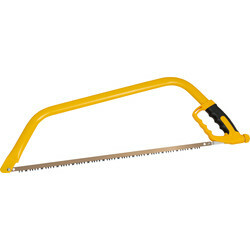 Cut garden wood or prune trees and bushes with a garden saw at Toolstation. 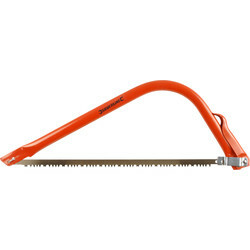 We stock a selection of bow, pruning and garden saws from trusted brands such as Draper, Roughneck and Smith & Ash. Please note sales are restricted to over 18s. Cross cut branches or firewood down to size with bow saws such as the Roughneck bow saw with an ergonomic handle and knuckle guard or the bow saw with hardpoint blade for up to 5 times longer use than an untreated blade. 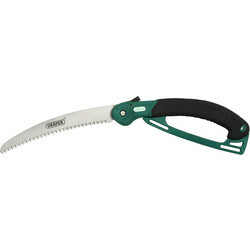 To cut back trees or tough, thick bushes, choose a pruning saw with a curved handle for easier cutting. 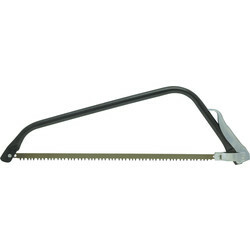 We stock a regular pruning saw with a steel frame and a powder coated heavy gauge, or the Draper folding pruning saw with a rust resistant blade which folds back into a soft grip handle when not in use. 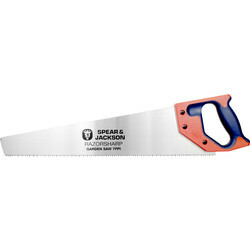 We also stock a selection of treated and spare saw blades for longer life. 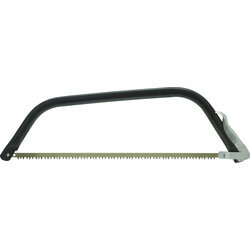 45324 Roughneck Bow Saw 24"